Another unknown but very good symphonic album. 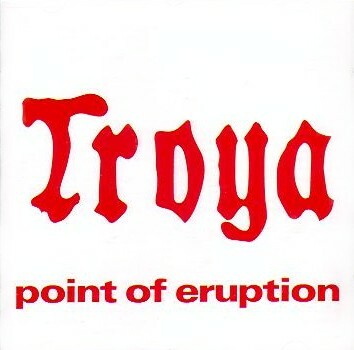 Point of Eruption is the only release from Troya. The music sounds both melancholic and space, and is mainly guitar and mellotron driven. Point of Eruption is not terribly different from other albums of the genre from this period, but is very enjoyable and relaxing. It's a pity that the album is too short and the sound quality is below average. Anayway, a beautiful spacey symphonic album which should please fans of Pink Floyd, Eloy and Novalis !